It began with the best of intentions. Worried about the effects of alcohol on American families, mothers and civic leaders started a movement to outlaw drinking in public places. Over time, their protests, petitions, and activism paid off—when a Constitional Amendment banning the sale and consumption of alcohol was ratified, it was hailed as the end of public drunkenness, alcoholism, and a host of other social ills related to booze. Instead, it began a decade of lawlessness, when children smuggled (and drank) illegal alcohol, the most upright citizens casually broke the law, and a host of notorious gangsters entered the public eye. 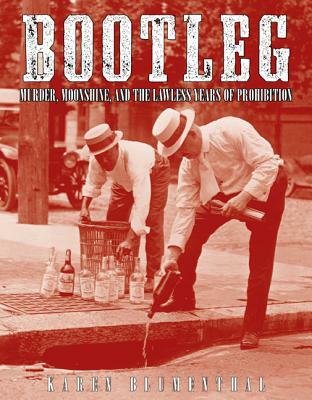 Filled with period art and photographs, anecdotes, and portraits of unique characters from the era, this fascinating book looks at the rise and fall of the disastrous social experiment known as Prohibition. Bootleg is a 2011 Kirkus Best Teen Books of the Year title. One of School Library Journal's Best Nonfiction Books of 2011. YALSA Excellence in Nonfiction Finalist in 2012.